1. Line, Crease, Crinkle, Furrow, Seam, Wrinkle : سلوٹ - جھری : (noun) a slight depression in the smoothness of a surface. 2. 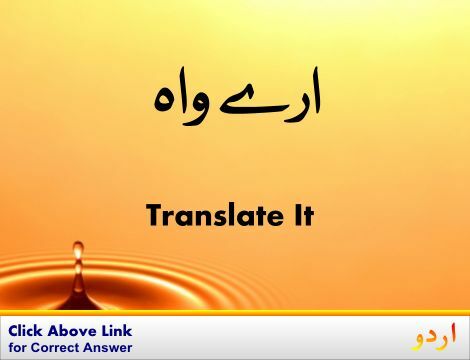 Line : لکیر - خط : (noun) a mark that is long relative to its width. He drew a line on the chart. Curlicue, Squiggle - a short twisting line. 3. 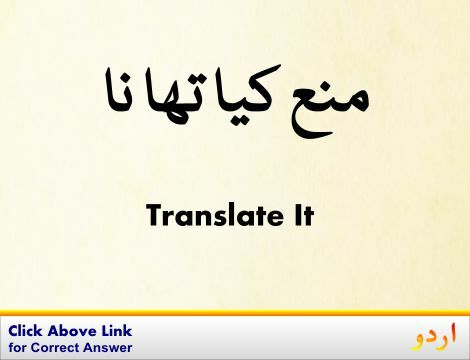 Line : لوگوں کی قطار : (noun) a formation of people or things one behind another. The line stretched clear around the corner. Picket Line - a line of people acting as pickets. 4. Line, Delineate, Describe, Draw, Trace : خاکہ بنانا - لکیر کھینچنا : (verb) make a mark or lines on a surface. 5. Line, Cable, Transmission Line : تار : (noun) a conductor for transmitting electrical or optical signals or electric power. 6. Line, Course : سلسلہ : (noun) a connected series of events or actions or developments. Series - similar things placed in order or happening one after another. 7. 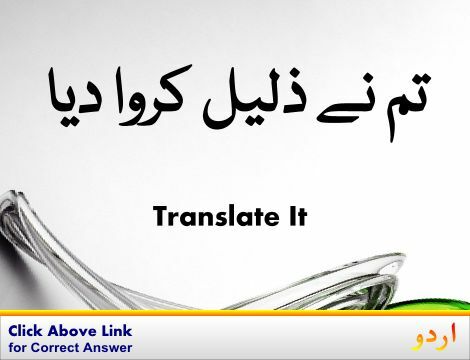 Line, Pipeline : زمین میں ڈالی جانے والی وغیرہ : (noun) a pipe used to transport liquids or gases. A pipeline runs from the wells to the seaport. Pipage, Pipe, Piping - a long tube made of metal or plastic that is used to carry water or oil or gas etc..
8. Line, Phone Line, Subscriber Line, Telephone Circuit, Telephone Line : فون لائن : (noun) a telephone connection. Phone line is not stable. Connecter, Connection, Connective, Connector, Connexion - an instrumentality that connects. 9. Line, Ancestry, Blood, Blood Line, Bloodline, Descent, Line Of Descent, Lineage, Origin, Parentage, Pedigree, Stemma, Stock : نسل - خاندان : (noun) the descendants of one individual. 10. Line, Business, Job, Line Of Work, Occupation : کام - پیشہ : (noun) the principal activity in your life that you do to earn money. Biz, Game - your occupation or line of work. 11. 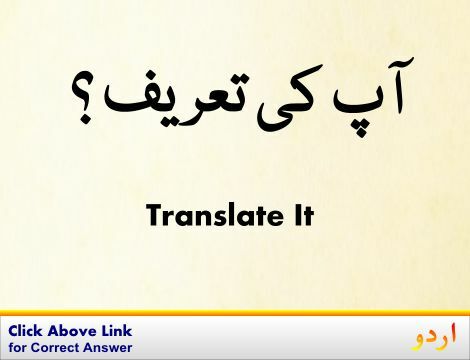 Line, Channel, Communication Channel : ذریعہ : (noun) (often plural) a means of communication or access. 12. Line, Bank Line, Credit Line, Line Of Credit, Personal Credit Line, Personal Line Of Credit : ادھار دینے کی حد : (noun) the maximum credit that a customer is allowed. Credit - money available for a client to borrow. 13. Line, Air, Melodic Line, Melodic Phrase, Melody, Strain, Tune : روانی - لحجہ : (noun) a succession of notes forming a distinctive sequence. Fanfare, Flourish, Tucket - (music) a short lively tune played on brass instruments. 14. Line, Billet, Note, Short Letter : رقعہ : (noun) a short personal letter. 15. Line, Contrast, Demarcation, Dividing Line : فرق : (noun) a conceptual separation or distinction. There is a narrow line between sanity and insanity. Differentiation, Distinction - a discrimination between things as different and distinct. Rebuff, Slight : انکار : a deliberate discourteous act (usually as an expression of anger or disapproval). Blandness, Smoothness, Suaveness, Suavity : خوش اخلاقی : the quality of being bland and gracious or ingratiating in manner. Line Backer : دفاعی کھلاڑی : a defensive football player who takes a position close behind the linemen. Limply : ڈھیلے پن سے : without rigidity. How this page explains Line ? It helps you understand the word Line with comprehensive detail, no other web page in our knowledge can explain Line better than this page. The page not only provides Urdu meaning of Line but also gives extensive definition in English language. The definition of Line is followed by practically usable example sentences which allow you to construct you own sentences based on it. You can also find multiple synonyms or similar words on the right of Line. All of this may seem less if you are unable to learn exact pronunciation of Line, so we have embedded mp3 recording of native Englishman, simply click on speaker icon and listen how English speaking people pronounce Line. We hope this page has helped you understand Line in detail, if you find any mistake on this page, please keep in mind that no human being can be perfect.